Prepare tests by ensuring the expected results are up to date. 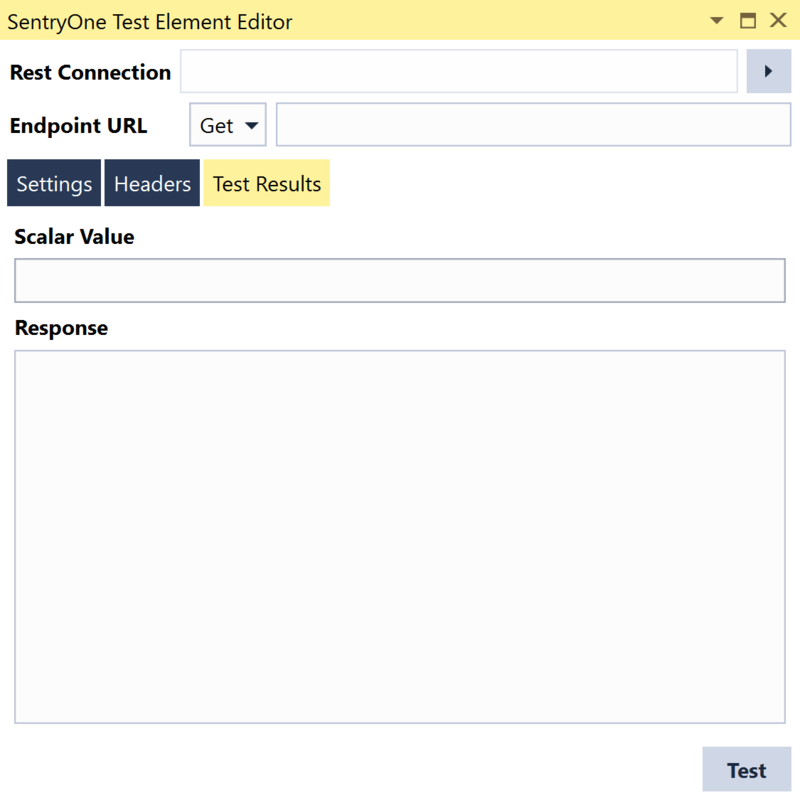 Clean-up an environment before or after a test execution. 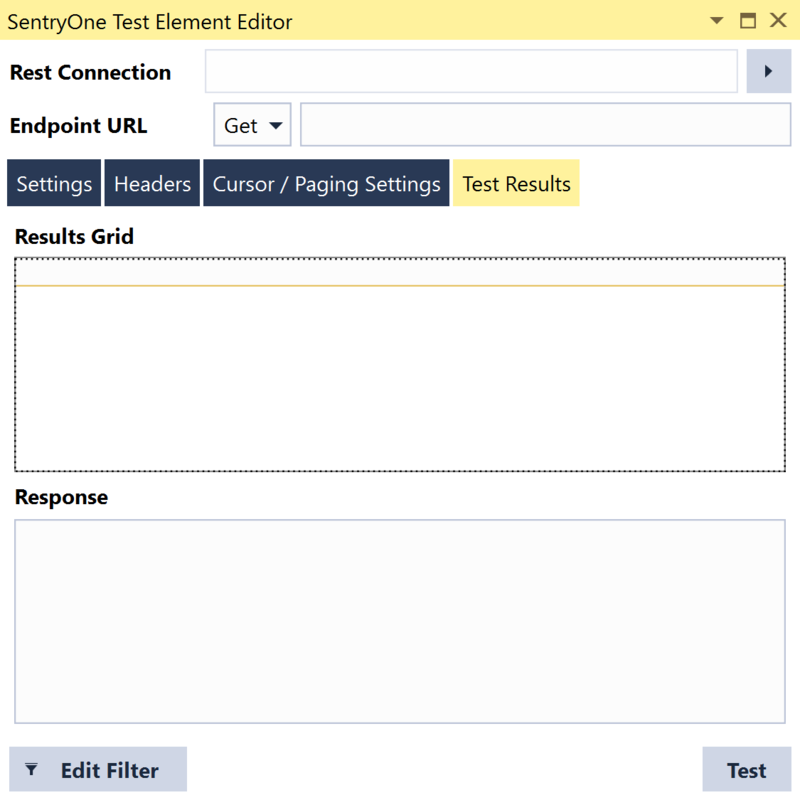 The Execute Rest Grid action performs HTTP Requests that parses and stores the response (table) values into a resource grid. Rest Connection The cloud connection that's created in the test group level or test level asset. Get - Retrieves information from the endpoint. 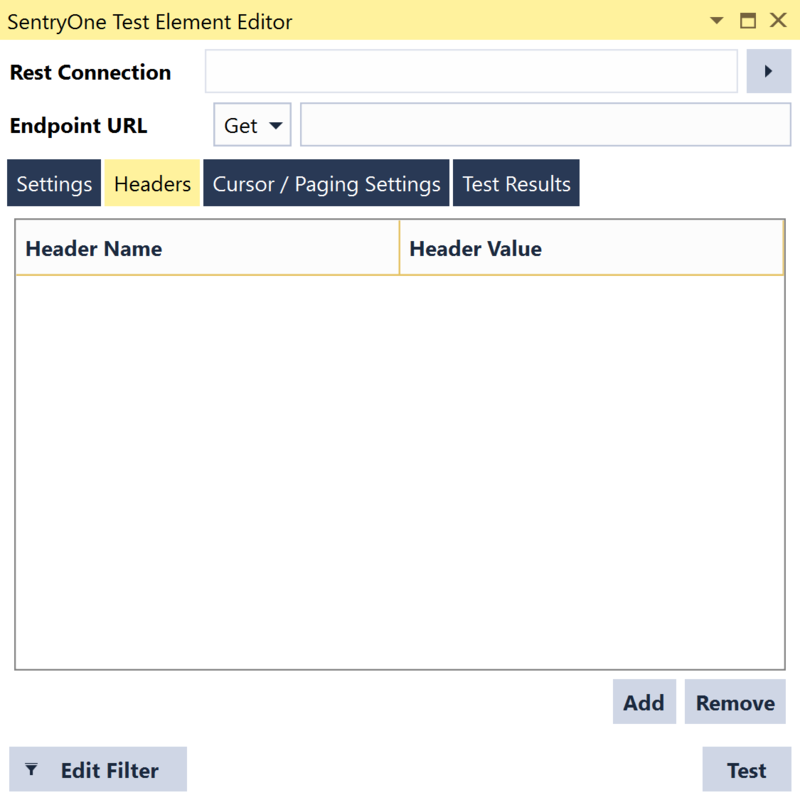 Post - A request that the endpoint perform "something" with the provided information. Results Format Selects whether the results return in Json or Xml format. Root Json Path Json can return results that have several root objects. Each object contains corresponding data. Identifying the root only returns the results for that root. Note: Setting the root Json path to data only returns the results id and data1column. 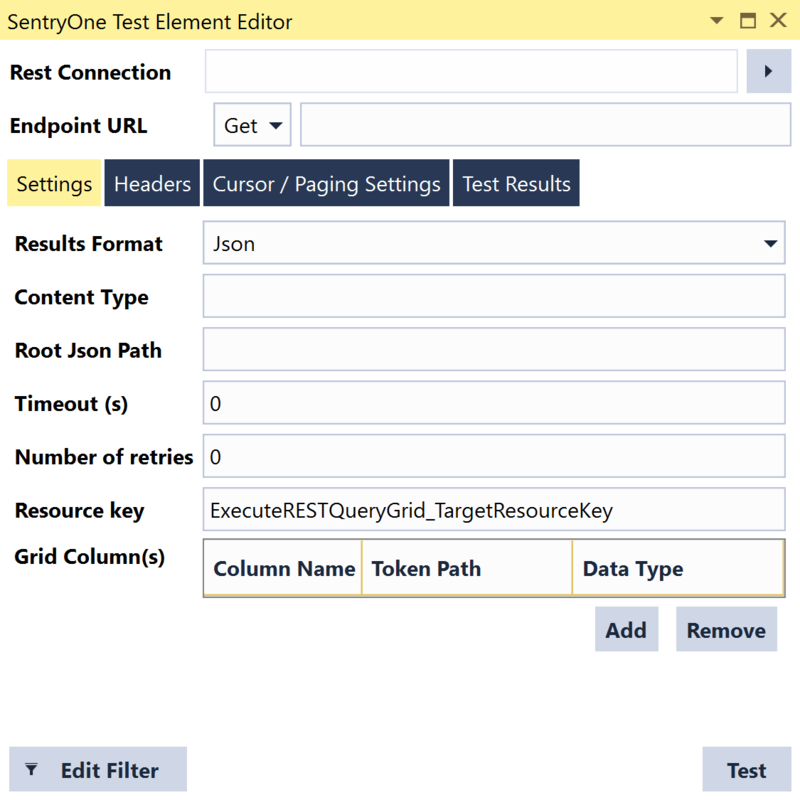 Setting the root Json path to data2 only returns data2key and data2column results. Timeout (s) Sets the amount of time in seconds the request should fail if there is no response from the web service. Number of retires Sets the number of attempts to connect before the execution fails and reports an error. Resource key Identifies the tile's name if it needs to be called in the Execution Track, Assert, or Teardown steps of the test. Grid Column(s) The user defined column names, token paths, and data types for each column. Using the Json example above, you can add two columns with the data root Json path. Headers Tab Headers are information about the type of data returned. Add and remove headers by selecting the corresponding buttons. 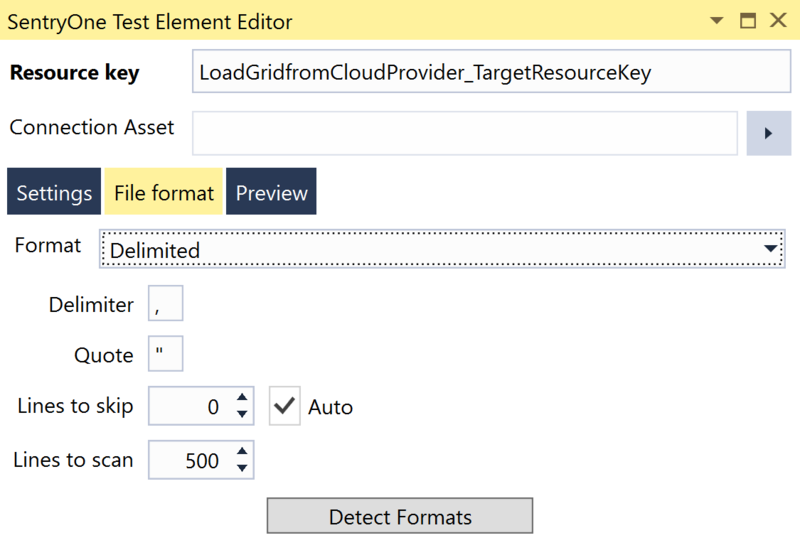 Once a header is added, select in its corresponding name and value fields to configure them. Token Path Identifies the child token that's used. Is Return Value URL Select this option if the Token Path is a URL. 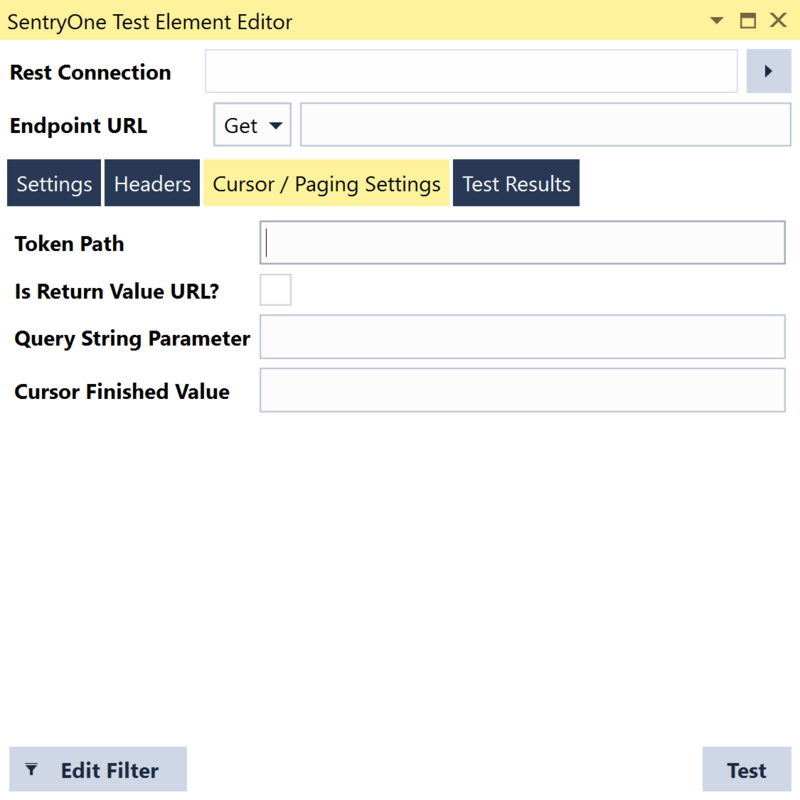 Query String Parameter Identifies the (optional) parameters needed to complete the Json request. Cursor Finished Value The value needed to identify the output data is complete. Select Test to see the results returned based on the configuration in the previous tabs. 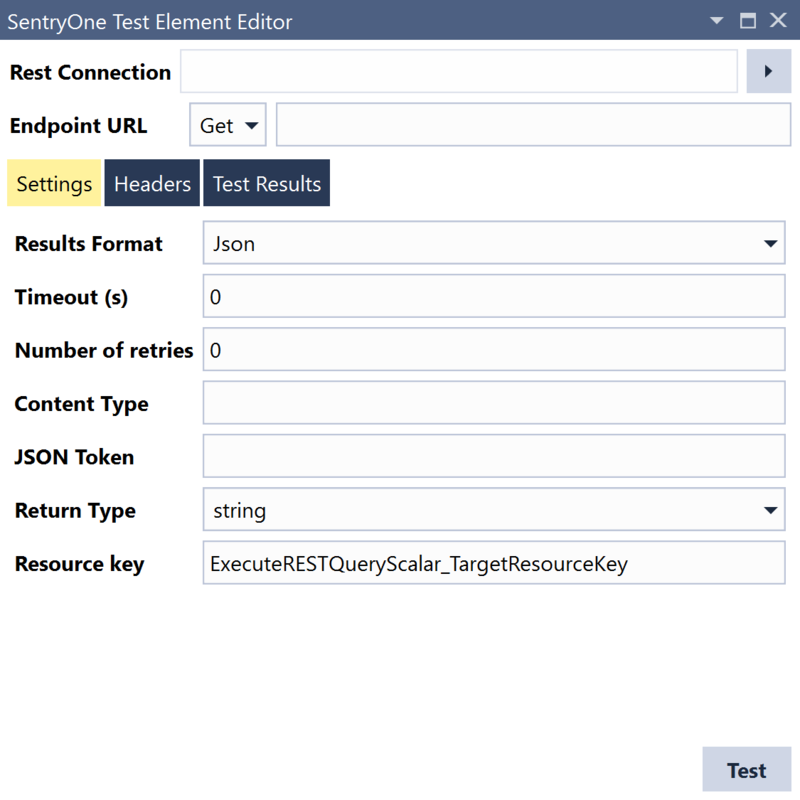 The Execute Rest Query (Scalar) action performs HTTP Requests that parses and stores the response value into a resource grid. Post - A request that the endpoint perform something with the provided information. Results Format Selects whether results are returned in Json or Xml format. Root Json Path Json can return results that have numerous root objects with corresponding data for each root. Identifying the root only returns the results for that root. Note: Setting the root Json path to data only returns the results id and data1column. Timeout (s) Sets the time (in seconds) the request action should take place before it's a failure. Headers are information about the type of data returned. Scalar Value You can add your own data to populate the column only when testing your configuration. Select Test to see the results returned based on your configuration in the previous tabs. The Execute Salesforce Query Grid action executes a query to gather a data grid from Salesforce. Batch Size Sets the amount of records retrieved from Salesforce per trip. The max records in a batch is 2000. 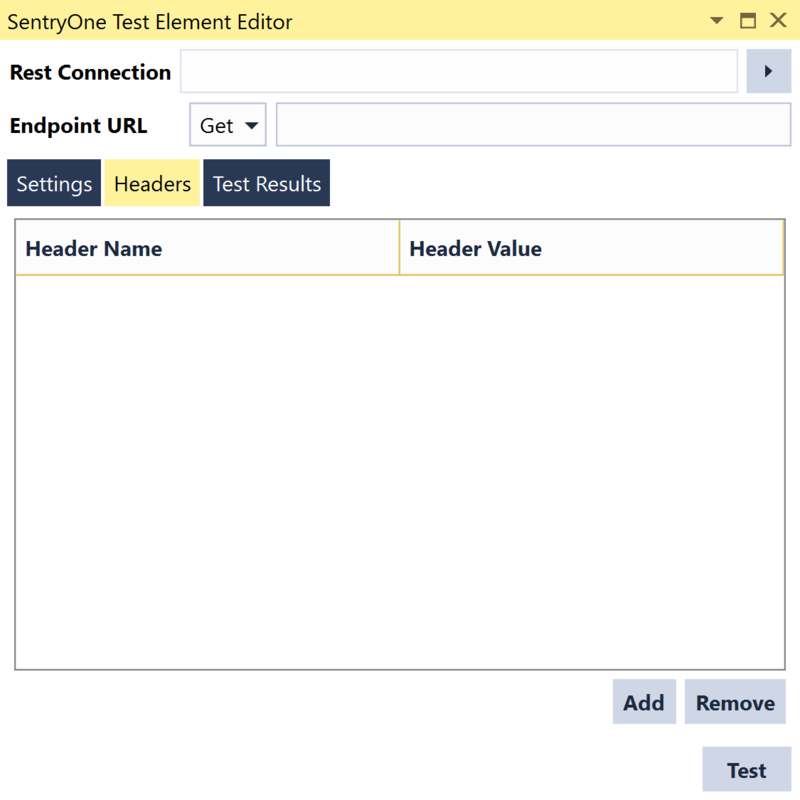 Connection asset The connection asset contains the connection string to the Salesforce source. Low memory mode Selecting this option stores the results on disk instead of on memory. This option is recommended for large result sets. Include deleted Checking this option includes deleted records in the result set. Query asset The asset that contains the query you want to execute. Resource key The name given to the results that's stored in the Test Resources. The Execute Salesforce Query Scalar action executes a query that gathers a single value from Salesforce. The connection asset contains the connection string to the Salesforce source. Defines the expected datatype that's returned. The asset that contains the query you want to execute. The name given to the results that's stored in the Test Resources. 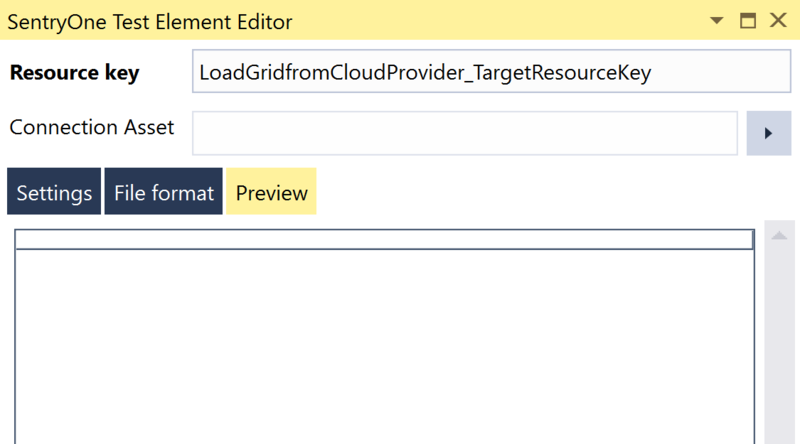 Loads a file from a selected Cloud asset connection. Connection Asset The connection asset you wish to connect to. Source The source of the connection. Match Pattern The pattern used to specify multiple files. File Name The file name you wish to use for the connection. 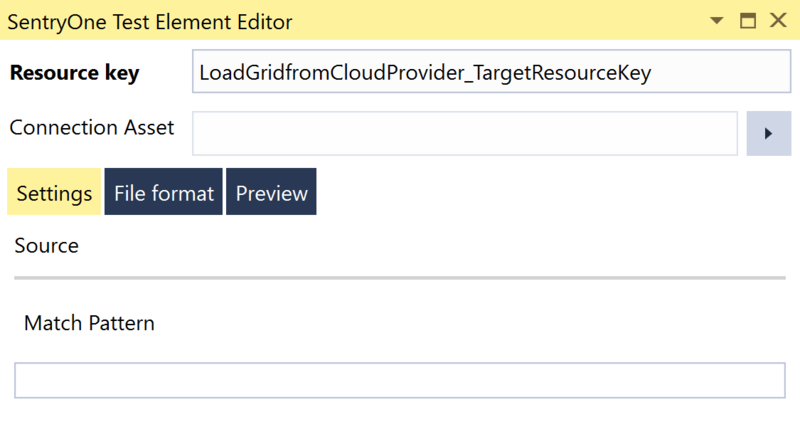 Loads a grid file from a selected Cloud asset connection. Resource Key The resource key for the cloud connection. Connection Asset The asset you wish to connect to. Format The file format for the connection. Delimiter Select the delimiter for the file. Lines to Skip Select lines you wish to skip. Lines to Scan Select the lines you wish the action to scan. Detect Formats Select this button to detect the format within the grid file.